New Residentsubmitted by Akira M. - Feb 18, 2019 |Recommended: YesCompared to my last apartments this is by far the best. I love my washer dryer. I live on the ground floor so my neighbors are not too loud but I do hear them especially there child but fairly ok. I would say I just have a bad ant problem but I think it was resolved hopefully. The living room does stay cold I just think because it’s a big area. I would recommend family and friends to move here it’s quiet and I always have a parking spot regardless of what time I come home so that’s a blessing. response from property - Feb 19, 2019 Thank you so much Akira! We appreciate the great review and nice things you had to say about our community. Please let us know if there is anything else we can do for you and we'd be happy to help! A Decent Experience Thus Farsubmitted by Nekia W. - Jan 04, 2019 |Recommended: YesThis community is quaint and peaceful most times. I enjoy the space and amenities. response from property - Jan 10, 2019 Thank you Nekia! We appreciate the feedback and hope you continue to like your stay in our community. Please let us know if there is anything we can do to bring this up for a 5-star rating and we'd be happy to help! Spacious rooms and great amenitiessubmitted by April W. - Dec 02, 2018 |Recommended: YesThe neighborhood is quiet and I feel safe in the community. The apartment is spacious and the laundry being in the unit is a plus. I have had a few minor issues that needed to be addressed and they were completed very quickly. I'm on a ground level unit and it tends to be chilly so the heat has to be up higher than normal. The property and community is overall nice and convenient. response from property - Jan 10, 2019 Thank you April! We're so glad you feel that way and hope you continue to enjoy your stay with us in our community. Please let us know if there is anything else we can do for you! Cool Calmsubmitted by Ephraim B. - Nov 15, 2018 |Recommended: YesThe neighborhood is awesome. The neighbors are fairly friendly and personable. response from property - Jan 10, 2019 That's great to hear, thank you for the feedback! My roommate and I love living heresubmitted by Jessica T. - Oct 01, 2018 |Recommended: YesThe property is very clean and well kept. If we ever have a problem with anything, the a maintenance person arrives within a day to fix it for us. All of our neighbors are very nice and we rarely hear any of them. We are really enjoying our time here so far. response from property - Jan 10, 2019 Thank you Jessica! We are so glad to hear you're enjoying your stay so far. Please let us know if there is anything else we can do for you! response from property - May 17, 2018 Thank you, Jennifer, we appreciate the review and the compliments to our staff. Let us know if there is anything else we can do for you! 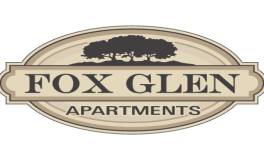 Clean, affordable propertysubmitted by Carlos N. - May 15, 2018 |Recommended: YesFox Glen is a great complex to live in. You're never too far away from any event going on There are some things I would like to see changed considering the buildings are a little older, but those are minor compared to other places I have lived. response from property - May 16, 2018 Thank you for the feedback, Carlos, we appreciate hearing our residents' point of view. If you have suggestions you'd like to discuss our door is always open! Thank you for the great review and let us know if there is anything else we can do for you! response from property - Apr 09, 2018 That's great, thank you for the 5-star rating and awesome review. We truly appreciate it! I think the property is a nice location, quiet at least in my building and the staff are excellent. submitted by Angela S. - Mar 27, 2018 |Recommended: YesI would say it is great.. The apartments could use some renovations upgrading , but maintenance is excellent. They are always timely. response from property - Mar 28, 2018 Thank you Angela! We appreciate hearing your feedback and are considering your suggestion. Please let us know if there is anything else we can do for you and we would be happy to help! Overall a wonderful place to staysubmitted by Jermaine C. - Mar 15, 2018 |Recommended: YesI have been here since last October and so far has been a great place except now parking has become a huge issue where my building is if you come home later in the evening finding a spot is almost impossible at this point not sure where the influx of cars came from but it was not like this before, and one car that hasn't moved in months seems like someone is hiding it out in the parking lot or something ,only because of this really I cant give a overall 5 star rating, but besides that everything else has been great like others said the walls are a bit thin and you can here your neighbors but for me its not anything major as my neighbors are not noisy at all really anyway great place to stay would be perfect if the parking was better. response from property - Mar 19, 2018 Thank you for the feedback, Jermaine. We appreciate hearing this and if there is anything else you would like to discuss please feel free to call or stop by the office. Overall atmosphere and surroundings are good. The apartments themselves need serious work and totally new designs.submitted by Darlene C. - Dec 16, 2017 |Recommended: NoI would tell them you can hear everything from your neighbors. The walls are too thin, and ceilings are too low, which leads to uncomfortable living, that will start one to look for another residence. response from property - Nov 22, 2017 Thank you, Iris, we're so glad to hear that! Please let us know if there is anything else we can do for you! response from property - Nov 22, 2017 Thank you, Jianan, we're glad you like it here! Be sure to let us know if there is anything else we can do for you! Lovely Apartmentsubmitted by Stephanie D. - Jul 06, 2017 |Recommended: YesThe location is very to convenient. The grounds are kept nice. Clean building. The only issue I have is that I can hear my neighbor all too well. response from property - Jul 07, 2017 Stephanie, thank you for your review of our community, and for the recommendation. We greatly appreciate your feedback and thank you for choosing Fox Glen to be the place you call home. If you have additional questions or if there is anything we can do, please feel free to get in touch with leasing office. Noisy, but extremely convenientsubmitted by Marcus P. - May 11, 2017 |Recommended: YesNot for someone that is sensitive to the presence of your neighbors you can hear them above you , but the location and amenities more than make up for this. It has two full bathrooms for a two bedroom unit Need I say more The grounds are well maintained and management is quick to respond to any issues. response from property - May 12, 2017 Thank you Marcus! We're sorry to hear that noise has been a bit of an issue for you, if this is something you would like to discuss, please feel free to stop by any time. Otherwise thank you for the wonderful review!